The Considera project concentrates on results from applications on the ground, but one would dearly like to understand the whole framework within which they work. 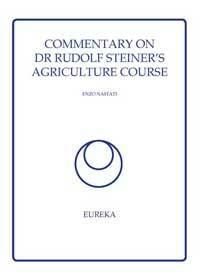 Dr Steiner started off this whole field of endeavour in 1924 with 8 lectures which proposed such a framework. If these lectures had been simple to understand perhaps we wouldn't need people to write commentaries - but we do. This is Enzo Nastati's attempt to understand and build upon the foundations that Dr Steiner gave in his Agriculture Course. Enzo's 310 page book is a lightly revised and tidied transcript of 30 meetings he held between January 2001 and January 2005.